Holy smoke, I can’t believe it’s been since September that I’ve posted anything! My busy summer turned into an even busier fall, and time just keeps slipping by. But now that snow is on its way, things are slowing down a little bit. 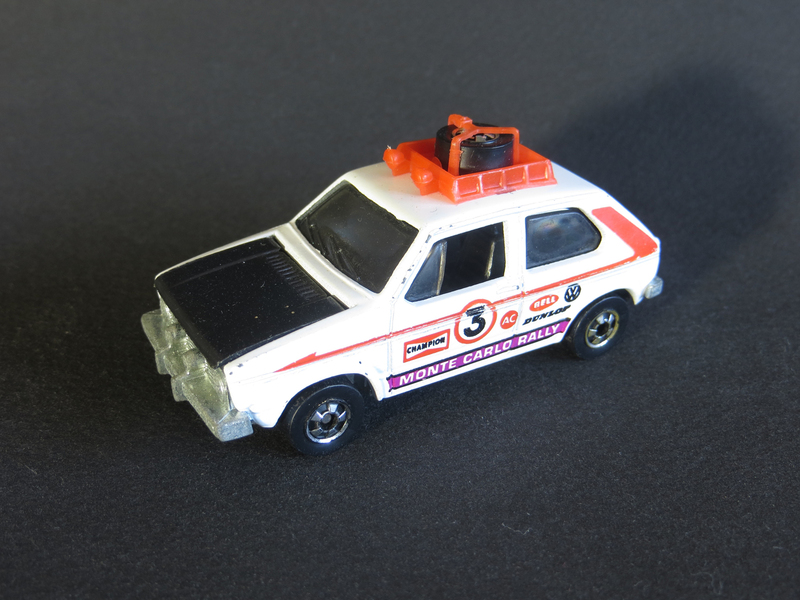 And even though I haven’t had much time for car-collecting lately, I do have some exciting news to report: When I landed this Hare Splitter in an eBay auction back in July, I completed my collection of Hot Wheels first-castings from 1979. 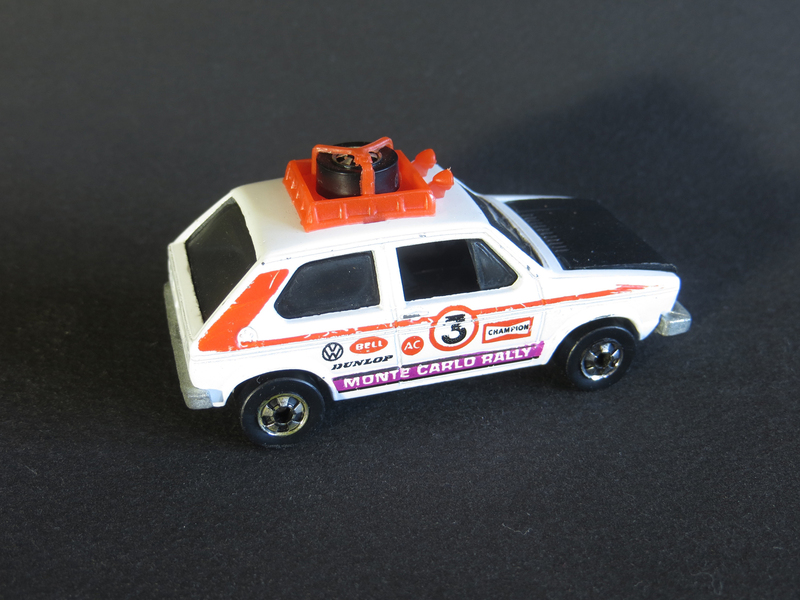 (Look for another post soon showing all of my 1979 Hot Wheels). Hare Splitter has been a favorite of mine since several years ago, when I acquired a clean variation from 1982. 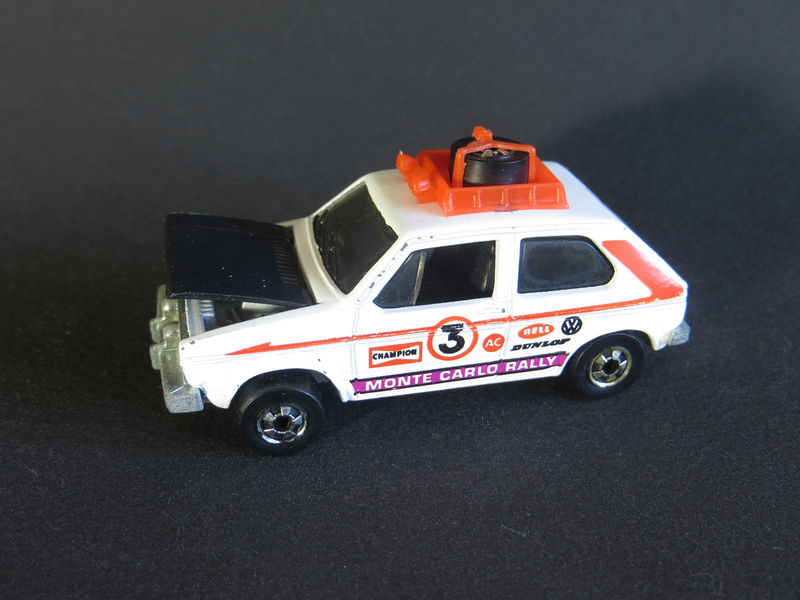 In fact, the only difference between the 1979 original and the 1982 variation is the color of the plastic spare tire rack. 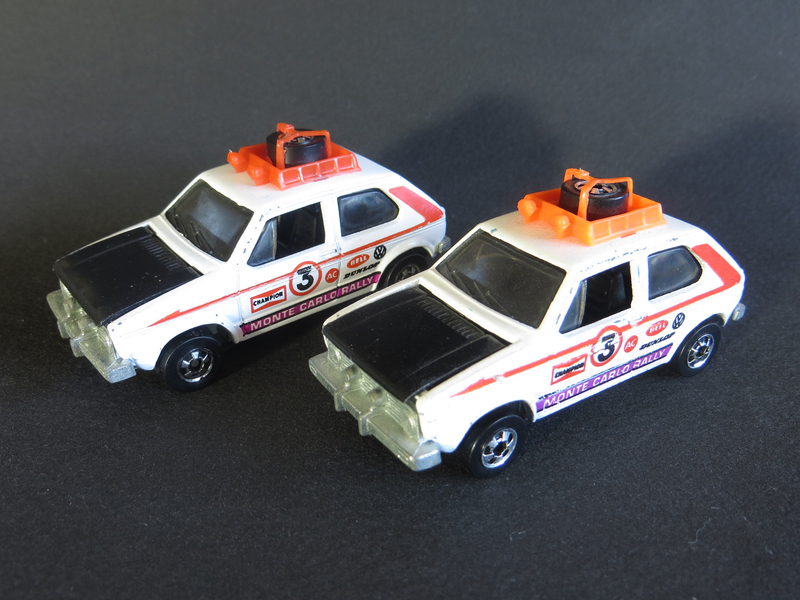 Versions from 1983 and 1984 have no tire rack, but all models from the original tooling have the black plastic opening hood. Here’s a shot of the 1979 original and the 1982 variation side by side.